The Dimension series of intelligent multi protocol fire alarm systems has been developed with two basic concepts: simplicity and reliability. These are ‘out of the box and on the wall’ solutions. Once it is in place and the wiring is connected, everything else is configured in the software. Programming is simple. A range of intelligent fire alarm panels designed around proven and reliable microprocessor technology, which has produced a modular, scalable fire alarm platform for protecting all types of premises. Intuitive to use and easy to install, network, configure, maintain and expand. Suited for stand-alone applications, the MS-9050UD is ideal for smaller facilities such as apartment complexes, banks, cinemas, child care and elementary schools, department stores, food stores, places of worship, restaurants, small retail outlet stores, and other facilities requiring performance-based, sophisticated technology at reasonable cost. The new MS-9200UDLS Rev 2, V4.0 Firmware adds new features such as USB Port, ANN-Bus devices and improved on-board communicator that provides support for the changing phone service environment. The MS-9200UDLS is ideal for commercial, industrial, manufacturing, office buildings, schools, strip malls and other facilities requiring performance-based, sophisticated technology at reasonable cost. 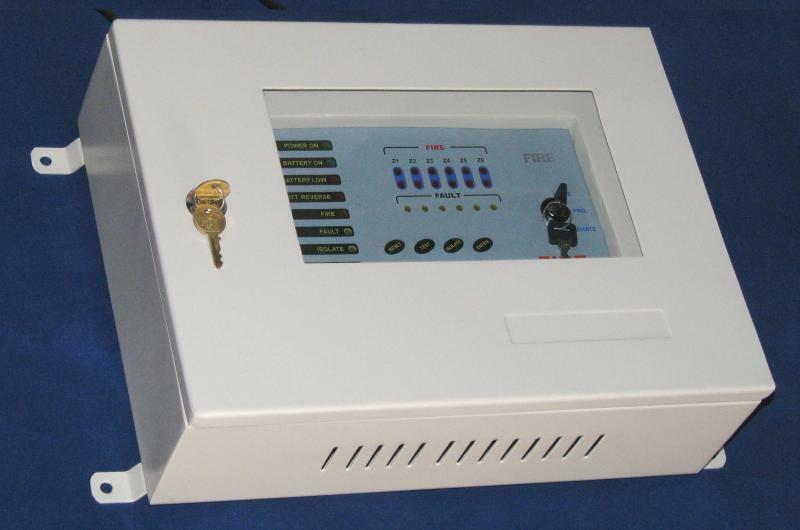 The Fire-Lite MS-9600LS and MS-9600UDLS are a compact, cost-effective, intelligent addressable fire alarm control panel with a capacity of 318 addressable Fire-Lite devices on one Signaling Line Circuit (SLC) or a total of 636 addressable points with an optional second loop (SLC-2LS). 2351E Photoelectric detectors incorporates an Application Specific Integrated Circuit (ASIC). Combined with the latest state of the art optical chamber the detector provides efficient and accurate detection of fires with a high level of resilience to non-fire environmental influences. 2351TEM Photoelectric smoke/thermal detectors incorporate an optical chamber and a thermal element, which in turn are continually monitored by an on board processor by using algorithms developed specifically for the unit. An alarm signal is only enabled in the detector once the processor is satisfied that an incipient fire has been detected. By using a combination of inputs, the incidence of nuisance alarms is reduced while at the same time, the response time to an actual fire is also improved. 5351E Thermal detectors incorporate an Application Specific Integrated Circuit (ASIC). Combined with the latest in thermal element technology the detector provides efficient and accurate detection of fires, especially in environments such as bars or kitchens where smoke detectors are inappropriate due to the high level of airborne contamination.